On December 16, 1773, when Samuel Adams and his fellow Sons of Liberty boarded three British East India Company-flagged ships to hurl 340 chests of Camellia sinensis—worth almost $2-million today—into Boston Harbor, tea was already an expensive commodity worldwide. But what offended Adams was not the price of tea itself so much as the fact that taxes had been levied on these precious leaves without the consent of England’s increasingly independence-minded Colonists. It was that act, taxation without representation, that helped bring a brewing revolution to a full boil. 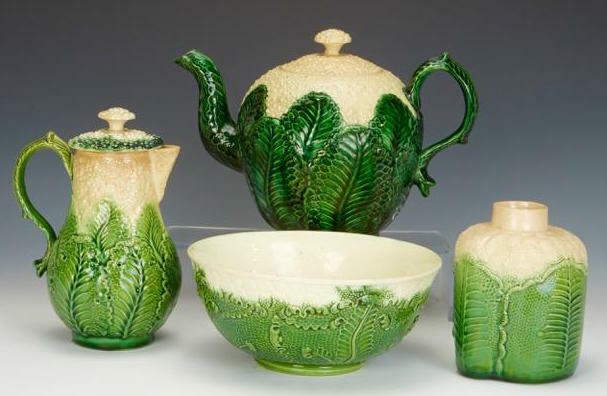 Because the price of tea was so dear in the 18th century, homemakers in the Old and New Worlds alike stored their green and black teas in special containers made of porcelain, sterling silver, and lead-lined wood, some of which were fitted with locks. Several centuries later, these tea caddies, along with ones that followed them in the 19th and 20th centuries, became the obsession of a modern homemaker named Marnie Bramble, who collected more than 400 tea caddies from China, England, Europe, and the United States. One of Marnie’s three sons, thrice Tony Award-nominated producer, writer, and director Mark Bramble, became an ally in his mom’s passion for these slope-shouldered and fruit-shaped forms, filling in holes in her collection during his travels. Since Marnie’s passing in 2015, Mark has overseen the care of his mother’s caddies, occasionally adding to the horde, and recently he wrote a book about them for Schiffer Publishing called, simply, A Tea Caddy Collection. 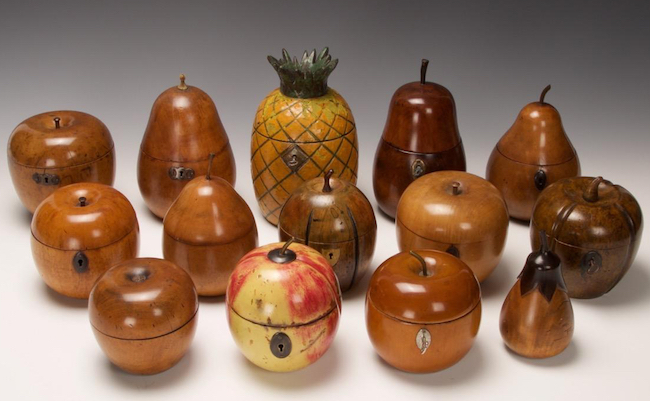 Top: A selection of English fruit forms from the late 18th and early 19th centuries. 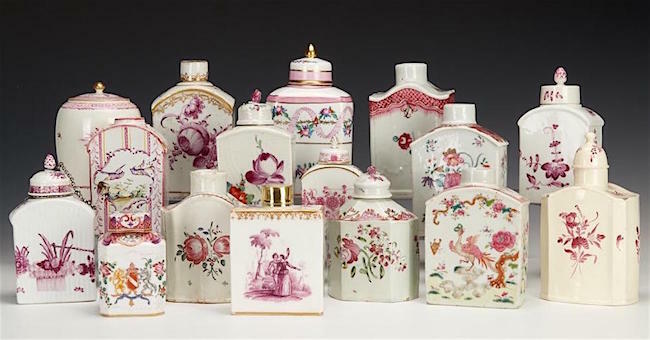 Above: This pink grouping includes Chinese exports and European caddies, mostly from the 18th century. 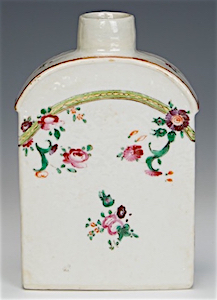 Marnie Bramble’s first tea caddy was an 18th-century Chinese export slope-shouldered example. This French tea caddy, circa 1900, by the Samson pottery is made out of earthenware. By the time of the Boston Tea Party, the Chinese export trade for caddies had long been on the decline, a victim of restrictive regulations imposed by China. That spurred ceramics manufacturing in England and Europe, especially in the Netherlands town of Delft. “Many of the shapes made in Delft were similar to those that had been manufactured in China,” Mark says. “The Delft industries were enormous,” he adds, “almost impossible for us to conceive of today.” Delft was a company town, the Silicon Valley of its day. This collection of Staffordshire cauliflower ware, circa 1765, includes a Wedgwood teapot (top) and a tea caddy (right) attributed to William Greatbatch. 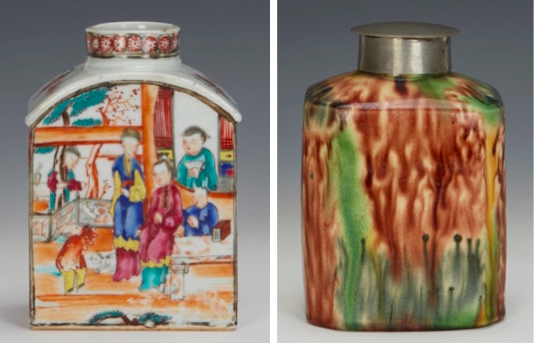 Two examples of colorful caddies: At left is a China export, circa 1785, featuring a traditional scene. 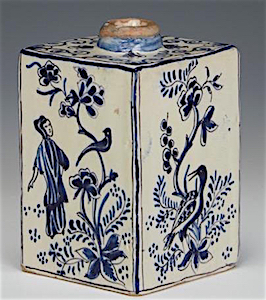 At right is an English creamware caddy from 1765-75 with an abstract design. With more than 400 tea caddies safely ensconced at the family home on Maryland’s eastern shore, and now a book making a virtual version of the collection portable, you’d think Mark Bramble’s appetite for tea caddies would be sated, but you’d be wrong, especially when it comes to tea caddies from around the time of the Boston Tea Party. Do you have any thing about garment type buttons? “ ” They went out of fashion for quite a few different reasons, but durability wasn’t really the problem.